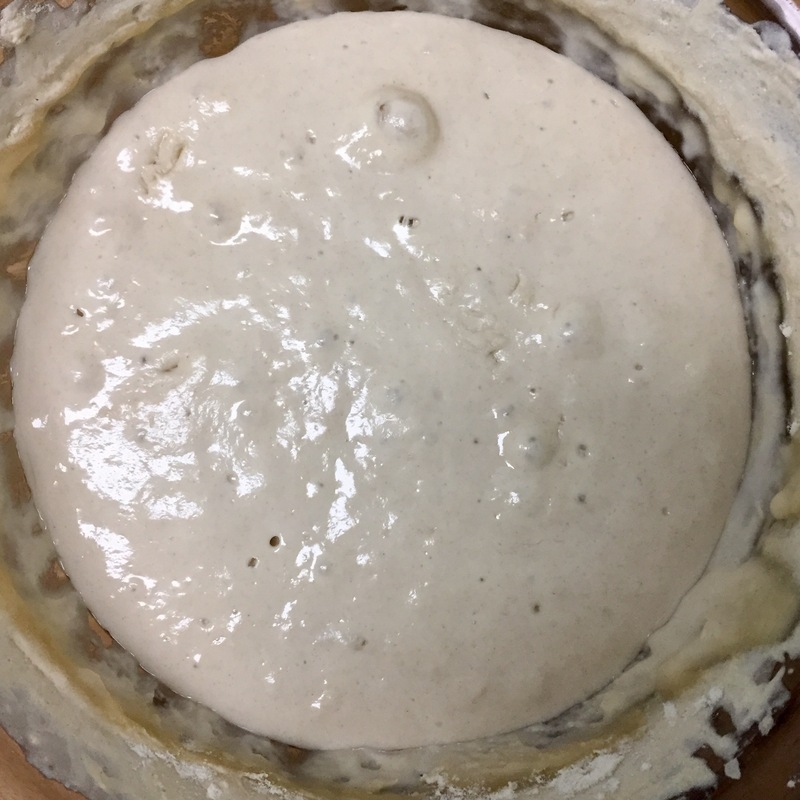 some photos from around our little apartment homestead on a sunny saturday morning! 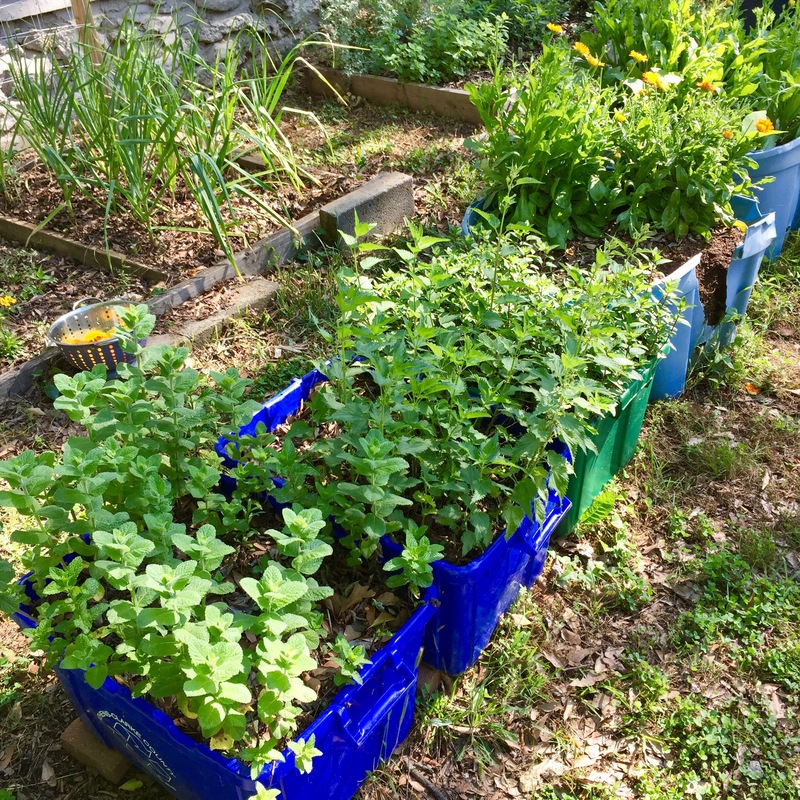 featured photo – my tea and homebrew bed (plus alpine strawberries). 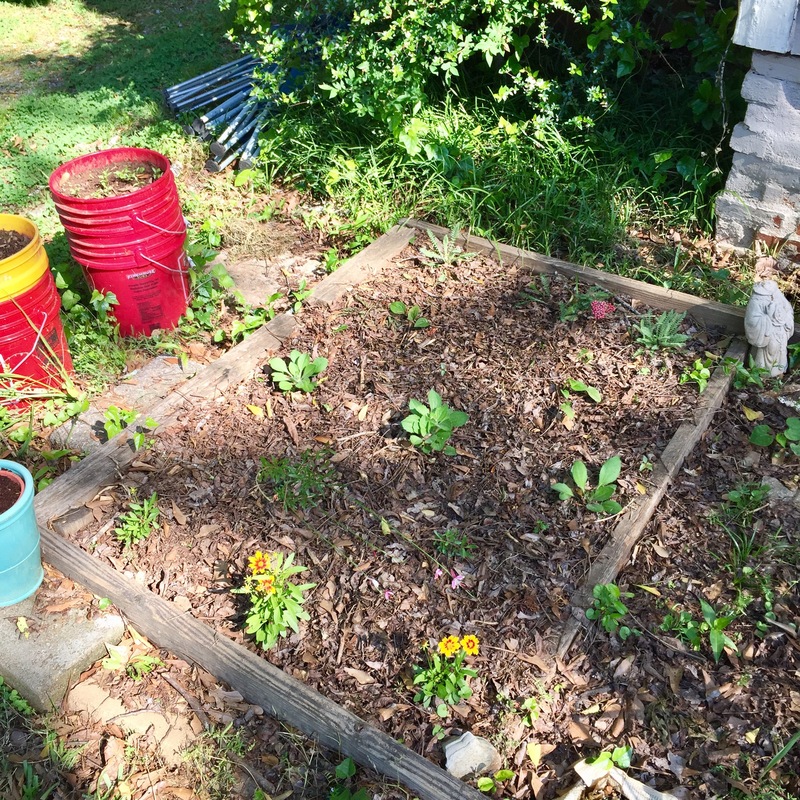 perennial flower pollinator bed – tickseed, rudbeckia, echinacea, yarrow. 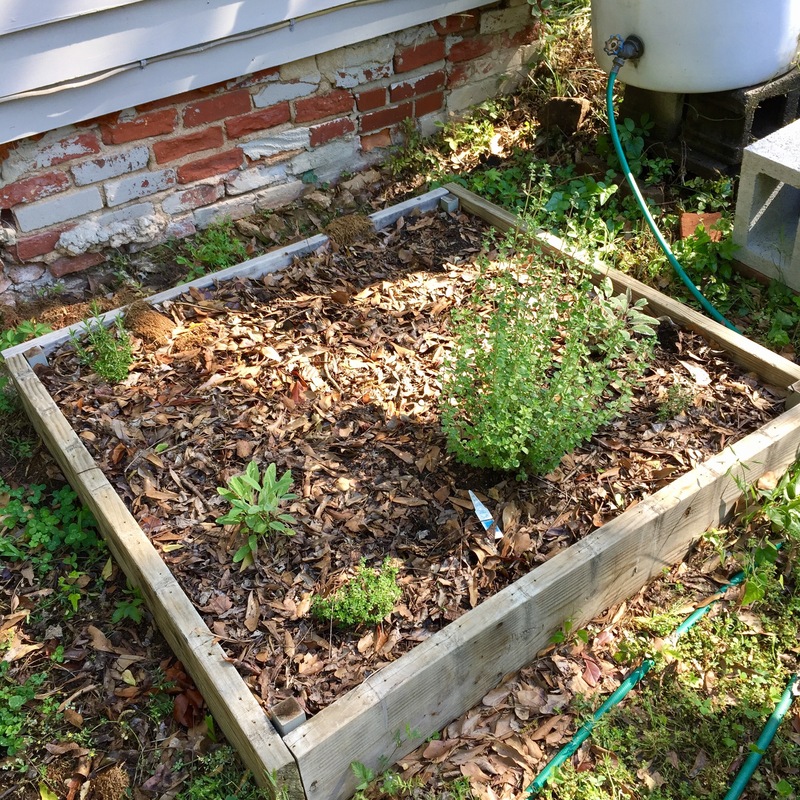 culinary herb bed – sage, rosemary, thyme, marjoram, oregano (soon to include tarragon and some yarrow). 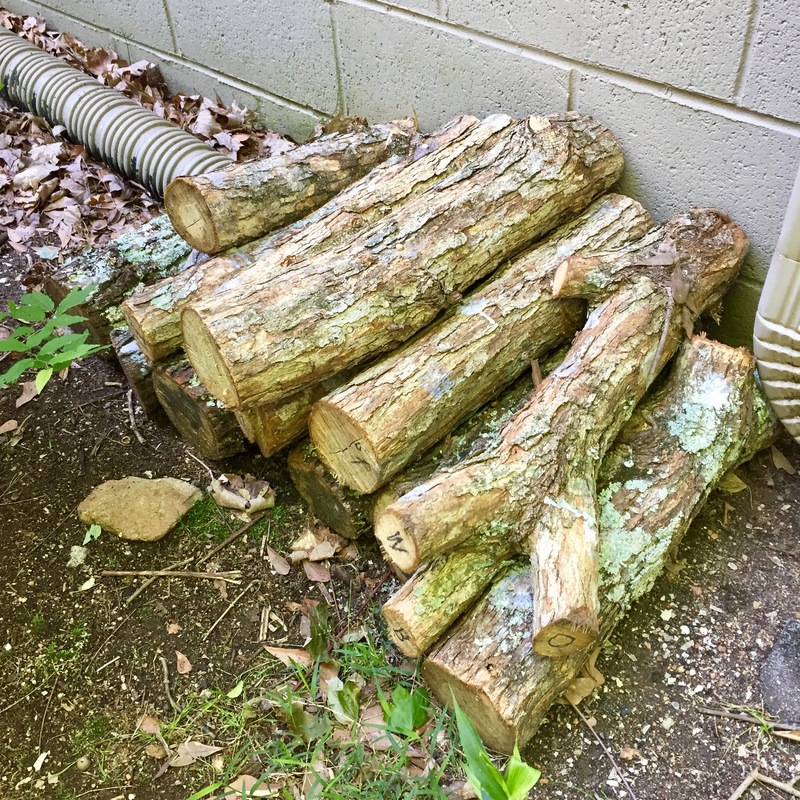 freshly innoculated mushroom logs, various edible and medicinal strains. 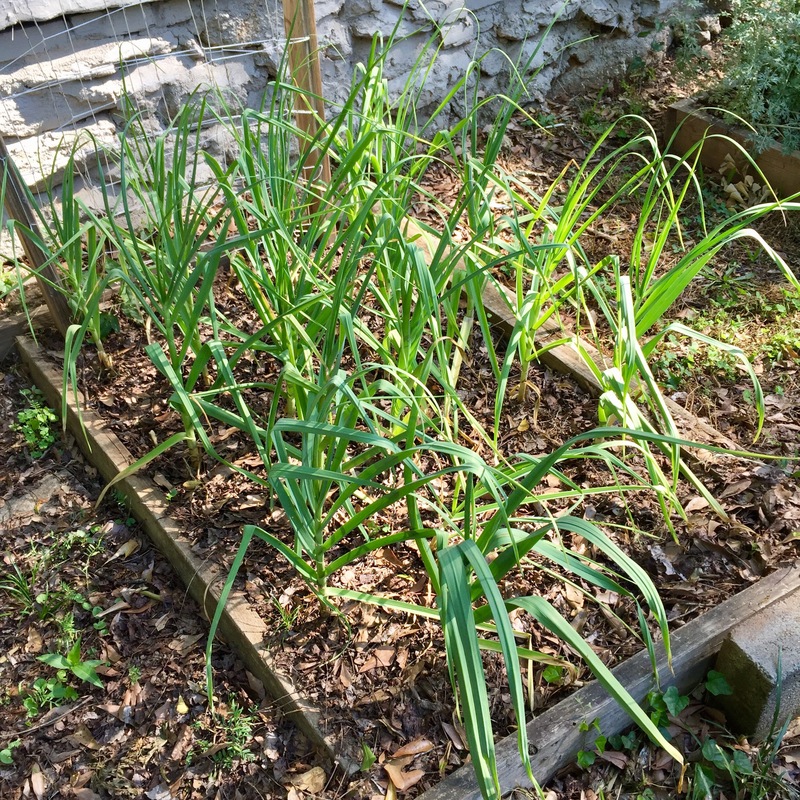 compost, the heart of the garden. 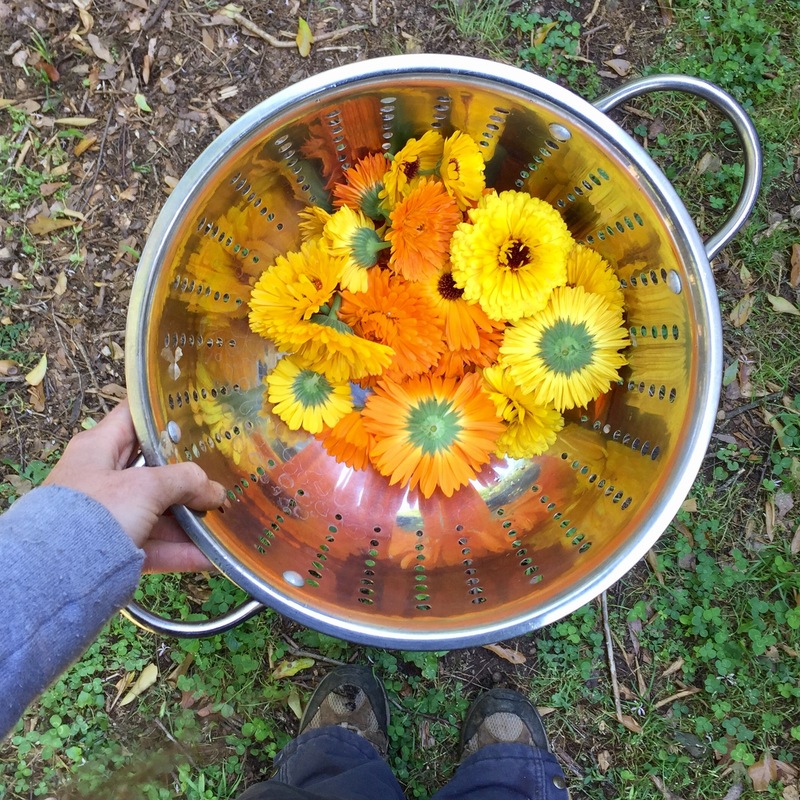 harvesting calendula is so beautiful! 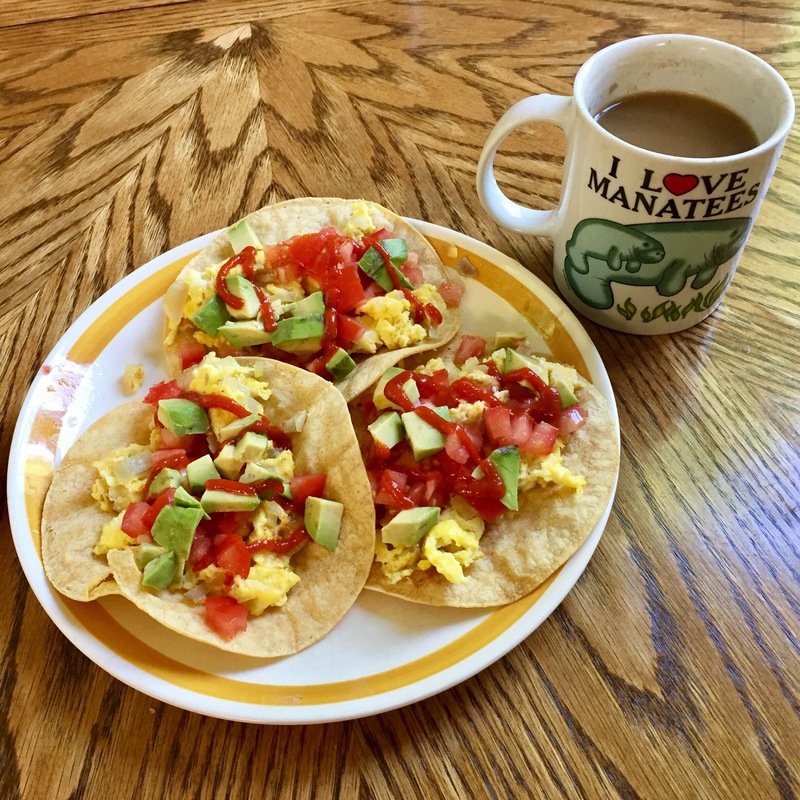 a friendly reminder that breakfast tacos are a saturday morning necessity. 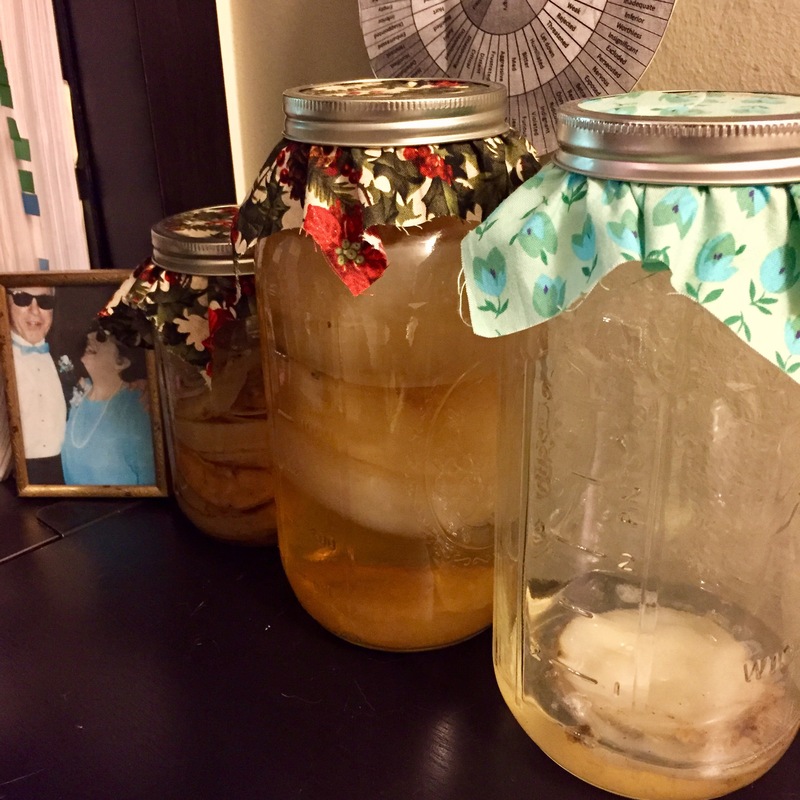 kombucha cultures, including one vinegar that is almost finished! 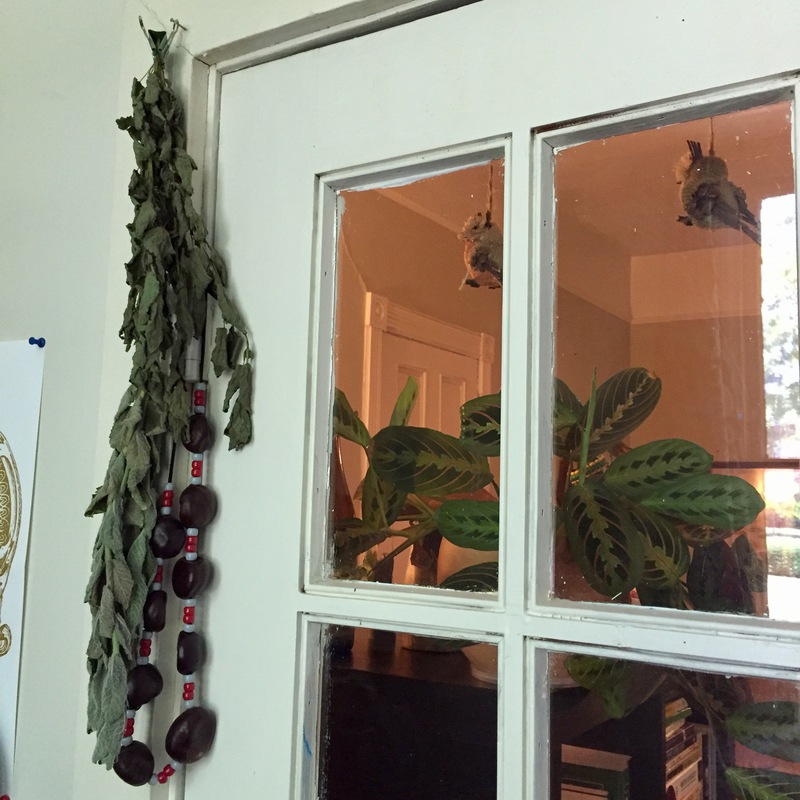 herbs drying in our bedroom. 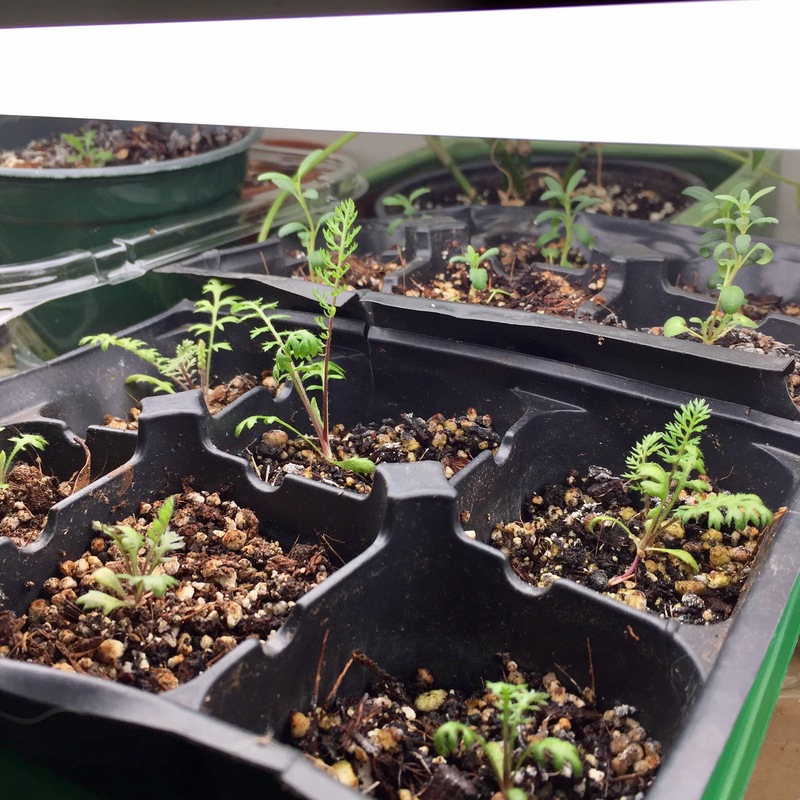 hyssop and yarrow under the grow lights.